Daisy Flower Harmed. 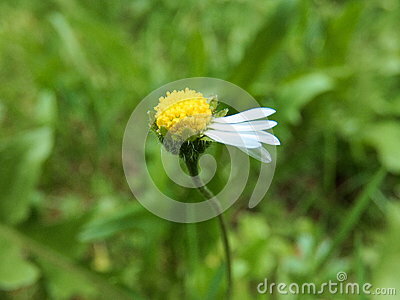 Damaged Daisy flower. It has only few petals left. Other were ripped out.